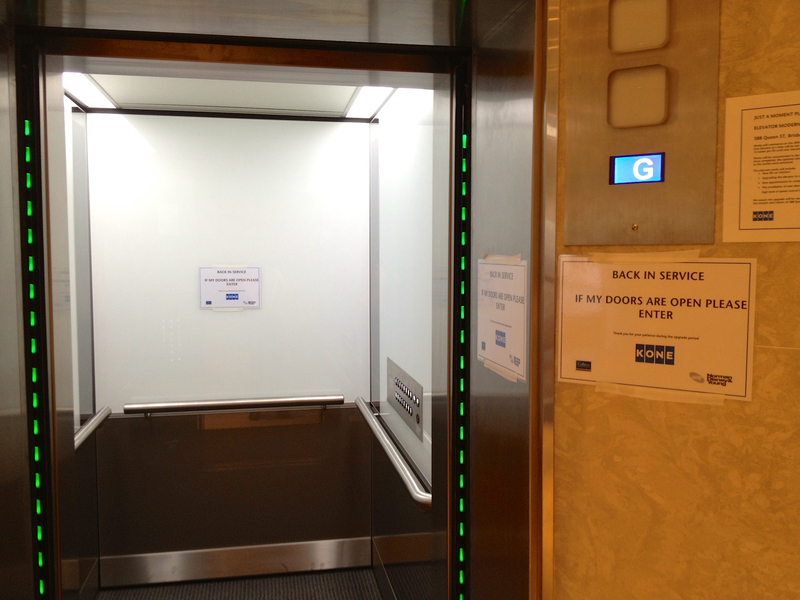 A tale of trust lost and broken elevators | Melbourne, as in the city. Customer relationships are built upon trust. Trust that a company will provide the product or service that the customer has paid for. Trust that the company will safely store the customer’s details and not misuse them. Trust that a company respects the customer and will do their best to make them happy. This trust builds over time, with every interaction between the two. A simple a one-off online transaction, won’t build much. A daily face-to-face interaction will build a far deeper relationship. If something happens to break this trust, it will be lost and take a long time to rebuild. Often something extraordinary is required to rebuild a broken relationship. If it ever can be. In the world of user experience design, this is why attention to detail is important. Every time you confuse a user or make them work hard to complete a task you chip away at that relationship. Every time you do something sneaky or use a dark pattern you sour the relationship and turn your customer off your company, potentially losing them (and their friends) forever. I encountered a perfect metaphor for this in my building recently. The elevators have been unreliable for a long time. Lot’s of people have stories of being stuck in them. It’s an old building so it’s not surprising, but is still frustrating and scary. They recently started replacing and upgrading the elevators. Which meant they took one out of action for a month or more. Last week I turned up to work in the morning, coffee in hand, to find the doors to the elevator that had been out of service open. Bright light was gleaming out of the new elevator in to the dim foyer. Bright, clean, operating theatre temperature light was shining off its newly appointed stainless steel fittings. And it was just sitting there with the doors open. Waiting for someone to get in and try out the shiny new interior. The problem was that no one trusted it. 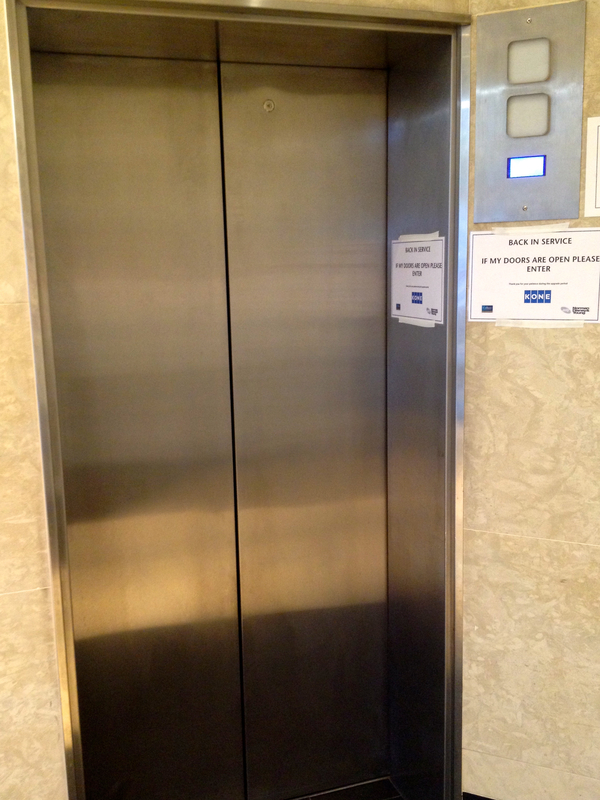 After too many bad experiences no one was willing to believe that this shiny new elevator would finally work. It’s sudden shiny new appearance only added to the distrust. That morning, myself and two other people who arrived at the same time as me ended up waiting and taking one of the other older elevators. That day someone from building management must have noticed this reaction by us occupants. The next morning I was confronted by the same bright light shining out of the waiting elevator. This time it was adorned with signs urging me to trust it and step in to the light. Can you imagine the amount of distrust that an elevator has built up that people don’t automatically step in to it, let alone require a sign persuade them it is alright. People accidentally get in to the wrong elevator all the time. It’s comical seeing the automatic response when someone steps in to an elevator going up when they are going down, just because it opened in front of them. Bringing this back to designing user experiences, it’s strong metaphor for how important it is not to take a customer’s trust for granted. I’ve seen some extraordinary attempts to rebuild trust over the years but none of them wipe the slate clean again (Facebook’s data privacy issues are a great example). They always leave a lingering memory that stops a customer from ever completely losing themselves in their trust for you again. You’re far better off just not breaking your customers trust in the first place.